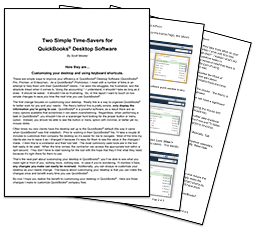 Ever need to print more than one report at the same time? 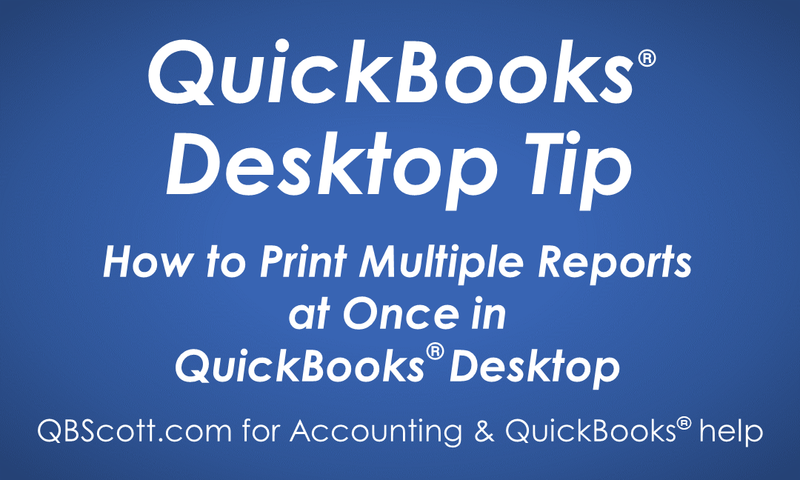 If so, QuickBooks has you covered with their Process Multiple Reports option. To access it, click on Reports in the menu bar (1), select Process Multiple Reports (2), select the reports you want to print (3), change the dates of the reports if needed by clicking on the date ﬁeld(s)/calendar(s) (4), and click the Print button (5). you’ll need to also select your printer and click the Print button on the next popup window. As you can imagine the Process Multiple Reports option should save some time as you won’t have to render each report prior to printing them.